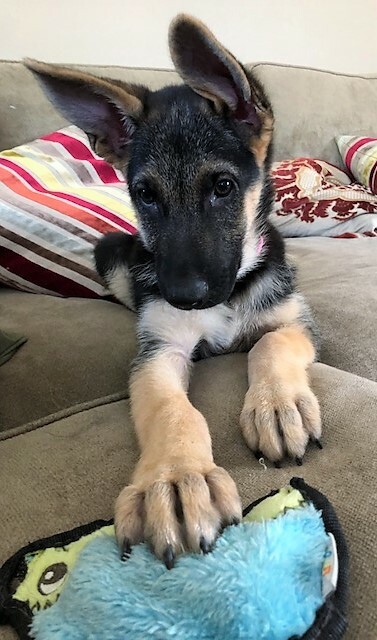 Lady Montague von Juliet is an adorable 10 week old German Shepherd puppy. "Monty" is a sweet, gentle and loving girl. 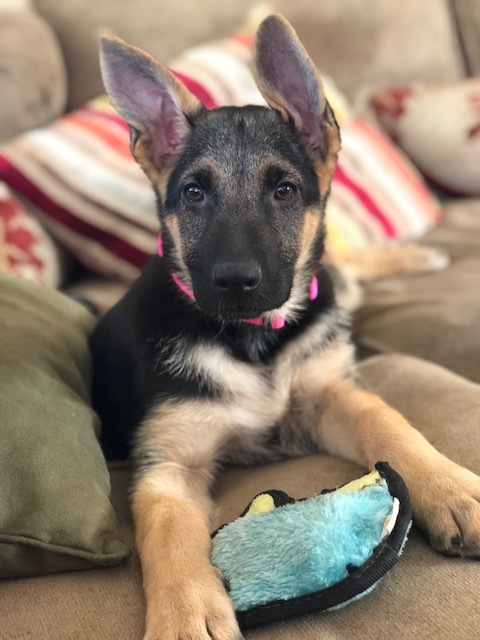 She loves to play with the big dogs in her foster home but most of all, she wants to be near her humans. Nothing pleases her more than to cuddle up next to her human and rest her head in their lap. Monty is not quite fully housebroken although she sleeps through the night with no potty break. With a little reinforcement and consistency, this smart girl will be there in no time. Monty is looking for a nice family, possibly with another dog to give her love, training and affection and to be her forever home.